If stealth is a scam as he says, why would the Chinese spend billions on developing not one but two stealth fighter aircrafts simultaneously? I have seen many fighter jets on you tube but no other plane excites you more than F16. PAF has a perfect combination of f16s and and JF17s for air defence and ground support roles. F-35 is not an F-18, agreed. However, it's a low cost bomber. If the Israelis want to penetrate Arab airspace quietly and bomb specific targets, they will succeed. So will Singapore if the need is to go deep inside Malaysia and back. So what if it has only 2 internal bombs capacity in it's internal bay, the jet was designed for specific missions. Countries like Turkey, Israel, and UK won't just order the F-35 if that need could be satisfied by other multi-role jets. Well the truth today is that the F-35 has been procured by both the Canadian and Australian Air Forces. Turkey is procuring 100 with Israel and Singapore procuring a squadron each. USAF alone has placed orders for over 1700 jets. Edited by Felicius, 19 June 2014 - 09:23 AM. Canada hasn't finalized its F-35 order. Canada is going for the F-35. The debate here is not if the aircraft is worthy or not, the debate here is that It's not really an air defence or a fighter, but a jet made for strategic bombing and even recon; is Canada expected to do bombing runs for other countries' wars? Are we feeding someone's economy or do we really need the F-35s. This is what the concern is here. It's a monetary and want debate, not that the jet is unworthy. Say If US gives the F-35 to Pakistan, India does not have any defence mechanism to guard their air space. We'd be doing deep strikes like taking a candy out of a kids mouth. They are that good. The USAF F-35 fleet was grounded today for engine inspection. One engine caught fire on take off and the US wants to investigate it. Edited by Felicius, 04 July 2014 - 08:53 AM. Right now these planes are having more problems just staying in working order. By the way, this man also stated just how difficult it was to pass his F-16 designs through, and it was a miracle that they did. F-35 is turning out to be a quagmire...maybe just due to sheer incompetence....cost overruns and delays have been the hallmark of this programme. Till now it's only in initial production and testing phase. They'll overcome the engine problem . Either that or they'll dump P&W and go with GE. They have enough orders placed now to go ahead with project acceleration and recover their costs. The US Department of Defense (DoD) has lifted a grounding order on the Lockheed Martin F-35 Lightning II Joint Strike Fighter, but the aircraft will not be allowed to fly to the UK for the Farnborough Airshow, the Pentagon announced on 15 July. "This is a limited flight clearance that includes an engine inspection regimen and a restricted flight envelope which will remain in effect until the root cause of the June 23 engine mishap is identified and corrected," said Pentagon Press Secretary Rear Admiral John Kirby. "That said, I can confirm that the Department of Defense in concert with our partners in the UK has decided not to send [US] Marine Corps and UK F-35B aircraft across the Atlantic to participate in the Farnborough Airshow," he added during a press briefing. The F-35B short takeoff and vertical landing (STOVL) version of the aircraft was expected to arrive in time for the airshow, which began on 13 July. "This decision [not to attend the show] was reached after consultation with operational commanders and air worthiness authorities, despite the decision by air worthiness authorities to clear the aircraft to return to flight," Adm Kirby said. "When we consider deploying aircraft operationally we look at many factors, to include operational risk, weather and ground time. All these factors were weighted appropriately in making this difficult decision," he explained. "While we are disappointed, we remain fully committed to the programme and look forward to future opportunities to showcase its capabilities to allies and partners." Prime contractor Lockheed Martin expressed disappointment but also understanding. "While we were looking forward to the F-35 demonstration at Farnborough, we understand and support DoD's decision," the company said in a statement. The Pentagon grounded the fleet in response to a 23 June engine fire that claimed a US Air Force F-35A on a runway at Eglin Air Force Base in Florida just before take-off. Officials believe that the fire was caused by an irregularity in the individual aircraft's engine, the Pentagon's undersecretary of defence for acquisition, technology, and logistics, Frank Kendall, said at the Farnborough Airshow's 13 July opening. "The entire fleet [of 99 engines, including the one that caught fire] has been inspected, and the problem is not systematic. The other 98 have shown no indications of the same phenomenon," he commented. "We understand what happened, and now we are trying to find out how it happened." As described by Kendall, the problem in the faulty engine was found to be with the integrated blade rotor (IBR) in the third-stage fan in the front section of the engine. While the IBR is designed to rub against a stationary cowling during the breaking-in period of the engine, on the affected engine the IBR was rubbing too much. "This meant higher temperatures, which led to micro-cracking, which led to the fire," he explained. 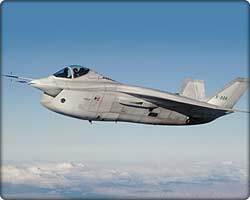 No Offence BUt this aircraft looks like a Frog AKA DADOOOOO, a really ugly plane Pierre Sprey is right about its looks like a waste of money 1 trillion thats too much what are they trying to design R&D cost of F22 is about 62billion. F16 was truly a fighter plane to admire. It has proved to be the fighter of choice. F35 despite its huge budget and research I don't think will be in the same category. It has just had a good salesman who has over promised and over sold a product that can not deliver.